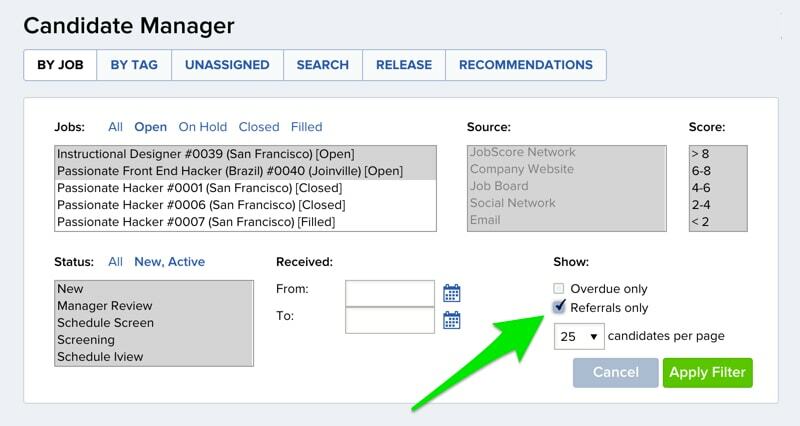 There’s now a “referrals only” filter on the candidate manager > by job page. The filter makes it easy for recruiters and hiring managers to zero in on referrals and ensure they are reviewed and dispositioned in a timely fashion. Thanks to Valarie Williams from Edmunds for the great suggestion.